8 Best Snow Tubing Resorts in the U.S.
Have a family of non-skiers or just want to find a fun place for snow tubing? 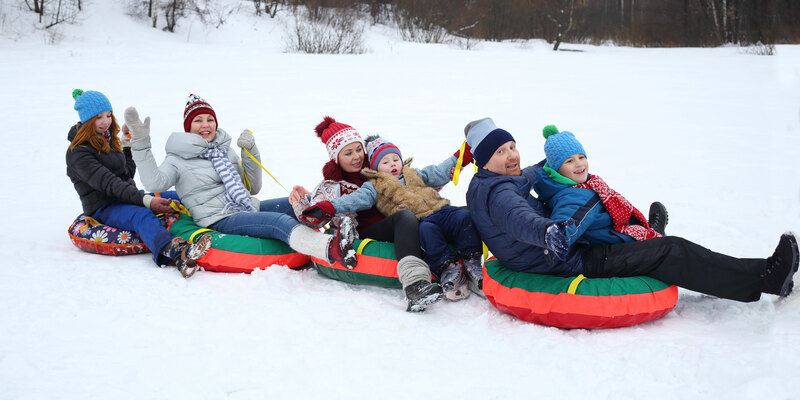 Consider our picks for the best snow tubing resorts for families, ranging from traditional snow tubing at ski resorts to snow tubing parks of their own. 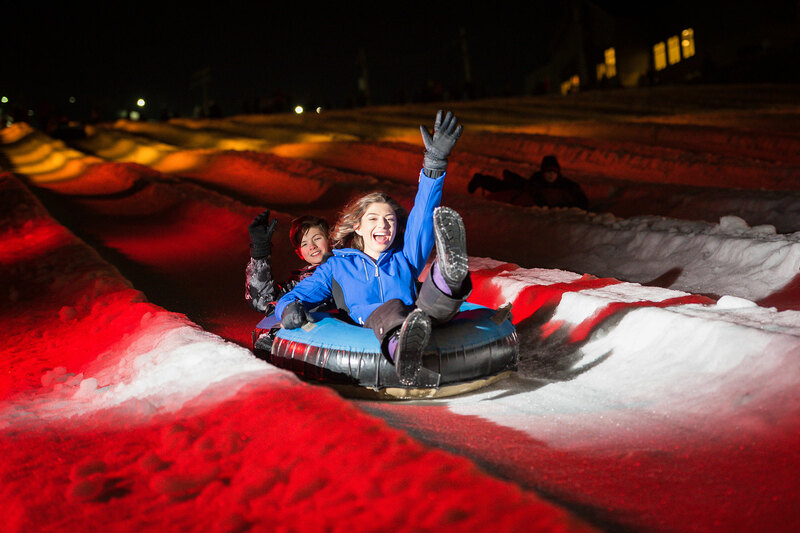 Did you know Camelback Mountain Resort in the Poconos is the largest snow tubing resort in the U.S.? And did you know it also offers Galactic Snowtubing? Galactic Snowtubing includes colorful LED lights and music for nighttime tubing on 42 lanes! Galactic Snowtubing access is included in all snow tubing ticket prices. At Cataloochee Ski Area, you’ll find Tube World. Like most snow tubing resorts, there is a 42-inch height requirement. Little ones are welcome to play at Wee Bowl, a much smaller area for tubing. 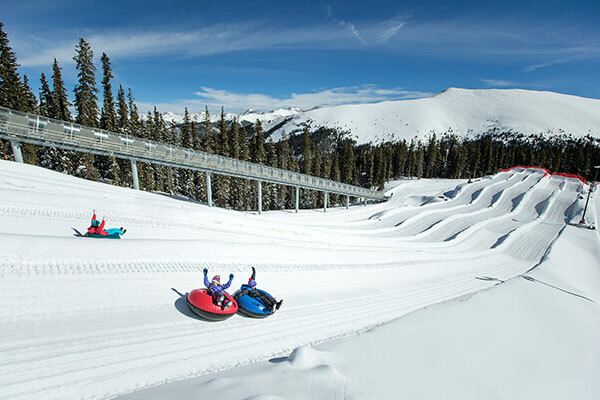 Colorado’s Keystone Resort offers both day and nighttime snow tubing — with a lift to maximize your tubing time! There’s also a separate — and completely free — area for tiny tykes (42 inches and under) who aren’t yet ready for the big-kid hills. Badlands Sno Park offers tubing hills of varying levels. Little ones can start on the Bunny Hill, while big kids can head for the Big Hill. The Turbo slope is the ultimate; at over 1,300 vertical feet, it is the tallest tubing slope in the Midwest! 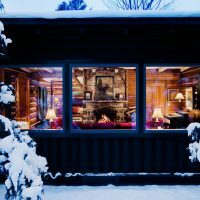 About an hour from Woodstock, Vermont, Grafton is home to the Grafton Ponds Outdoor Center, where families can enjoy everything from skiing to fat biking — and of course, snow tubing. The other perks of a family visit? It’s scenic and never feels crowded. Kids ages 5 and older can head for the snow tube runs at Roundtop Mountain Resort, where a Magic Carpet Lift is at the ready! For kids ages 4 and under, there’s a separate kiddie area with pint-size tubes. Bonus: Roundtop Mountain Resort is about 40 minutes from Hershey, Pennsylvania! 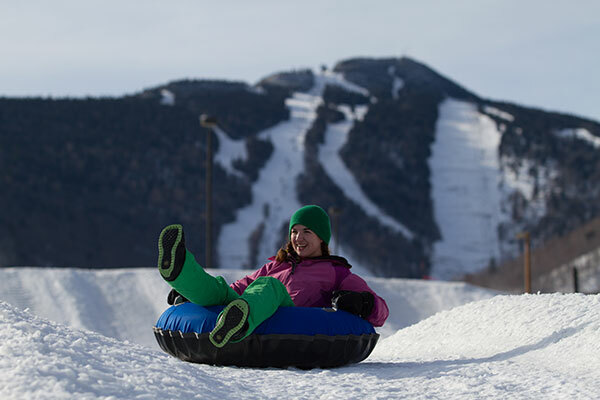 Snow tubing is always fun at Killington, with several lanes and a lift — in addition to a cafe with casual eats. Vermonters enjoy discounted tubing rates as an added bonus. Better yet, you can go tubing all year long — Killington offers Terra Tubing in the summertime! Heavenly Ski Resort offers traditional tubing for those 42 inches and up, while little ones are treated to an area of their own. The best part of the big-kid tubing? A 65-foot drop! Tubing is offered in the summer, too.